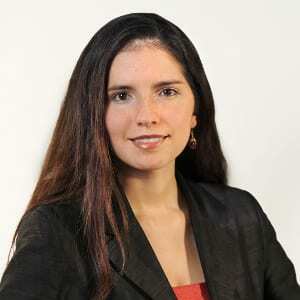 When explaining that her research focuses on ethics in banking and finance, Mar Perezts, Associate Professor of Management, Law and Human Resources at EMLYON is often met with such cynical remarks as “Ethics in banking? Ha! Haven’t you read the newspapers lately?” But despite the cynicism, ethics in financial services – or its absence – remains a topic of constant fascination. Having studied attitudes towards money in various cultures and throughout history, Mar Perezts’ research paper, ‘Dirty Hands and Dirty Money: Towards Framework for Fighting Pollution in Finance’ looks at why such negative attitudes towards financial services have evolved and explains why the increasingly critical approach aspiring professionals are taking towards the way the finance sector works should be encouraged if the ‘dirty money’ perception is to change. Down the centuries, and across a wide raft of cultures money, – together with those who deal in it – has become tainted, perceived as somehow soiled and sordid. As long ago as the 4th century BC the Greek philosopher Aristotle was condemning usury and the whole concept of lending money for interest has long been anathema to many of the world’s great religions. However, as the Roman emperor, Vespasian, neatly put it, ‘Pecunia non olet’ – money has no smell. Or has it? Is money a truly neutral commodity equally as capable of prompting immoral actions, such as money laundering and gambling, and of positively shaping societies in forms such as infrastructure and education. Considering the ambiguity of this subject combined with its power over society; is it any wonder that we are quick to judge the finance sector as a double sided sword of purity and pollution? Governments around the globe have been attempting to ‘clean up the act’ of the financial services sectors for many years – the US, for example, set up its dedicated anti-counterfeiting services back in 1865. Yet despite measures such as the Basel declaration in 1988 and the creation of the financial Action Task Force in 1989 by the G7 we still found ourselves financial armageddon in 2007 and the uncovering of recklessness and corruption on a superhuman scale. The response to this has been even more regulation and moves towards the creation of an effective global prohibition regime. Whistle-blowing has been encouraged, regulators and compliance specialists have become more and more professional and financial practitioners have been tasked, not just with responsibility for their own actions, but also for those of their customers. The problem of course about a constant increase in the number of rules, regulations, codes and enforcement procedures is that eventually it leads to a level of bureaucracy which crushes the activity it is supposed to be protecting, or what Professor Perezts calls ‘normophrenia’. We end up moving from a world where the rule of law is superceded by the law of rules. Unless we seriously believe that we can move back to a simpler time when financial services was conducted with handshakes in comfortable club rooms, then no regulatory system can be truly effective. In a globalised system where markets happen in thousands of transactions per second then it is only people who can make a real difference. If this is the case then it falls to universities and business schools to ensure that the right people with the right attitudes are in place to make this difference. This is not a question of instilling attitudes that are in some way more altruistic or beneficent or promoting something like the notorious Harvard pledge that launched in the dark days of the financial crisis. Instead it is about encouraging students who will go on to become financial practitioners to question practices, procedures and accepted thought within the sector and to act upon their conclusions. By tackling potential problems at the tipping point where they occur rather than through an imposed set of bureaucratic rules we could see the development of a financial services sector which is truly robust and sustainable and where ethics become embedded because they are seen as good for the sector and its commercial longevity. Associate Professor, my research involves crossing management problems with organisational issues, such as business ethics, via a philosophical and sociological approach. My work has been published in the Journal of Business Ethics, Organization and the European Management Journal, for which I am a proof reviewer. I am also a member of the OCE Research Centre. Perezts, M. (2015). Dirty Hands and Dirty Money: Insights on the construction and the fighting of financial pollution through compliance practices. Finance & the Common Good / Bien Commun.